To donate your car, call (888) 509-0577 or fill out the form. Submit your car’s information online via our simple form, or call us at (888) 509-0577. Pick up is always free. We will come to your home or office at a time convenient to you. We sell your vehicle on the largest resale network in the vehicle donation industry. Donating Your Car Makes a Difference! What are the benefits of donating my car to a non-profit? Turn that unwanted car into an IRS tax deduction. Free up space in your garage or drive-way. No need to pay hefty car repair bills. No more costs of car registration and insurance. What type of donation do you accept? What condition does my vehicle have to be in to donate it? We will take your car whether it is running or not. Exceptions include fire damaged or stripped vehicles. Do you accept abandoned vehicles? Unfortunately we cannot accept abandoned vehicles. Contact the local police to list the vehicle as abandoned or find out if a local junkyard can pick up the vehicle. Do I need a smog certificate or safety inspection in order to donate my car? We’ll be happy to accept your car donation even if it failed a smog test. We will take care of smog and inspections. At pick up you will be given a receipt that releases you from future liability for you donated vehicle. What paperwork do I need to donate my car? What if I don't have my title/pink slip? It is possible to donate without the title/pink slip. Please call one of our friendly vehicle donation specialists toll-free at (888) 509-0577 and they will help you with your title questions. Do I have any liability issues to worry about and who transfers title? We will handle all transfer documents according to your local state Department of Vehicle Services guidelines. When your car is picked up by our certified towing professional, you will be given a receipt that releases you from future liability for you donated car. How do you determine the value of the donation for my car? For vehicles sold for under $500, you can claim the fair market value up to $500.00 without any additional paperwork besides the receipt we provide at the time of the pickup. If the gross proceeds for the sale of your donated vehicle exceeds $500.00, your deduction will be limited to the actual sale price. Once your vehicle is sold, you will be notified and you will be able to download all IRS required paperwork. What is the entire process for making a vehicle donation? Once you have called us or filled out our online form, you will be contacted by one of our donation specialists who will take note of your information and answer any questions you may have. A processing specialist will arrange to have your car picked at your convenience, at the vehicles location by a licensed, bonded and insured towing professional. At pick up, you will be given a receipt which is a release of liability and confirmation that your vehicle has been picked up. Processing your picked up vehicle usually takes around 4 to 6 weeks but in some cases may take longer due to particular state title requirements or title laws. What is the procedure for picking up my donated car? A processing specialist will arrange to have your car picked at your convenience, at the vehicles location by a professionally licensed, bonded and insured towing company. At pick up, you will be given a receipt which is a release of liability and confirmation that your car has been picked up. How do I contact you to schedule a pick-up? Fill out our online donation form, or call one of our friendly vehicle donation specialists toll-free at (888) 509-0577 seven days a week and we will guide you through the donation process. We take donations Nationwide and we will come to your home or office at a time convenient to you. Pick up is always Free and in fact there are no costs to you at all. How long will it take for you to pick up my car? Once you have contacted us, you will be contacted by one of our representatives who will arrange to have your car towed away at your convenience by our professionally licensed, bonded and insured drivers. Will there be any cost to me? seven days a week and they will help with your concerns. and they will help you with your title questions. Which non-profit benefits from my vehicle donation? 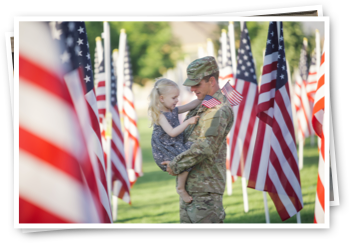 CarDonationForVets.Org has the goal to improve the lives of as many our military and veterans as possible. What happens after my car is picked up? Processing your car usually takes around 4 to 6 weeks but in some cases may take longer due to particular state title requirements or title laws. Yes, our driver will issue a receipt at the time of pick-up. This is not your final tax receipt unless the sale of your car does not exceed $500. This initial acknowledgement will indicate your name as well as the year, make, model and condition of the car you are donating. 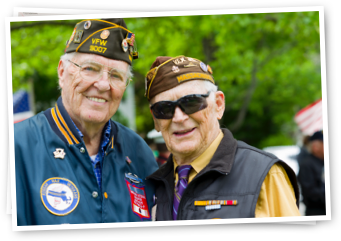 Yes, your car, boat or auto donation goes to benefit an IRS registered non-profit veterans or military charity. Because everyone’s tax situation is different, please consult with your tax professional to determine how you may benefit. How do I figure out the IRS requirements for my charitable donation? When will I know the tax deductible value of my vehicle donation? Once your car has been picked up, processing usually takes around 4 to 6 weeks. In some cases may take longer due to particular state title requirements or title laws. You will be sent an email notification once your vehicle is sold including the sale value of your donation. You will be able to download all paperwork need to submit to the IRS.